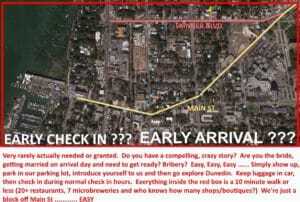 NEED AN EARLY CHECK IN? ……TO ACTUALLY GET INTO YOUR ROOM BEFORE 1500? 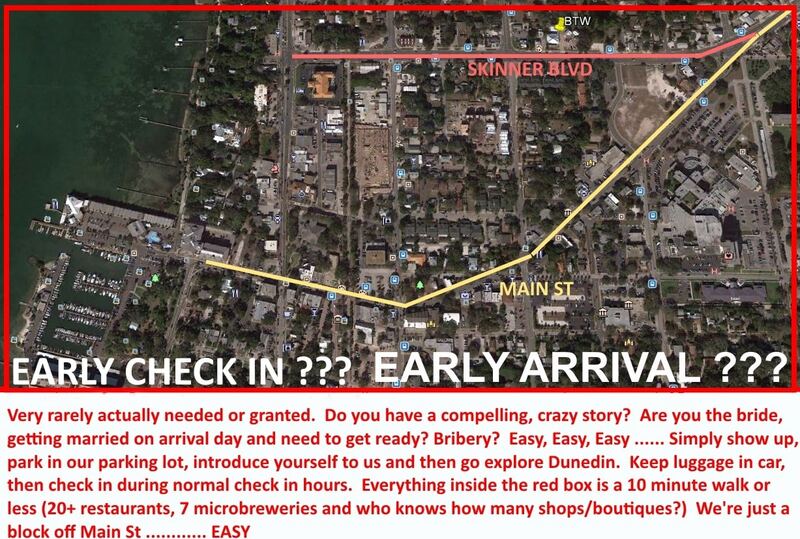 NEED TO ARRIVE EARLY, PARK YOUR CAR … THEN GO EXPLORE DUNEDIN UNTIL YOUR ROOM IS READY NO EARLIER THAN 1500? Want To Be Polite And Tell Us Ahead of Time? … That You Will Be Parking Early? NEED TO ARRIVE EARLY, GETTING DROPPED OFF? … NEED TO STORE LUGGAGE? 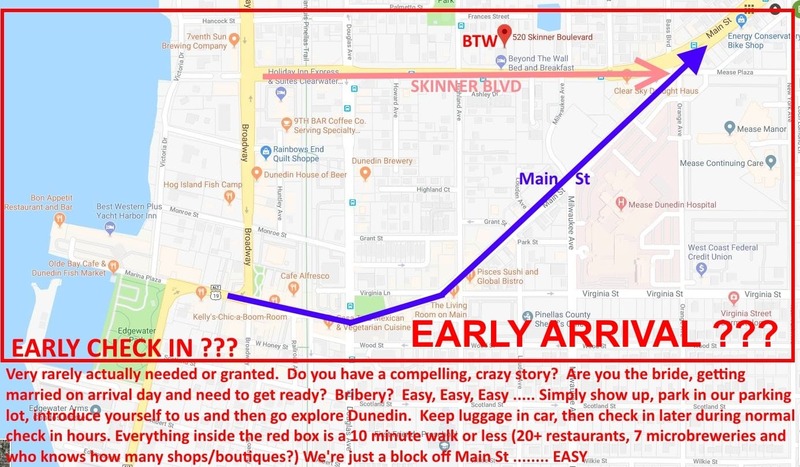 … THEN GO EXPLORE DUNEDIN UNTIL YOUR ROOM IS READY AT 1500? Are You The Bride? Wedding Starts At 1600? If You Just, Just Have To Get Into Your Room ……Because You Just Have To …. A Really, Really Damn Good Story? "If You're Bored Here, You're Boring"